Solid-state storage in arrays has changed from an impractical, high-end feature to a performance-boosting option that's widely available. As such, there are more options on the market - so, more opportunities for confusion or a misinformed purchase. 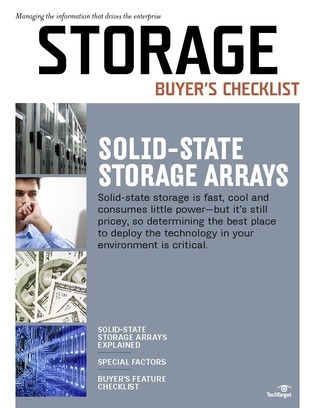 Check out this exclusive SearchSolidStateStorage.com Essential Guide to get an expert, hype-free explanation of solid-state storage arrays - including key purchasing considerations, architectures and deployment options, and a buyer's feature checklist.